File this application with the USCIS Local Office having jurisdiction over your place of residence. 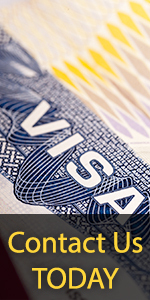 File your request with the USCIS office which made the unfavorable decision. With the USCIS Local Office with jurisdiction over the location of the court. 05/03/06. No previous edition accepted. $595 plus a biometrics fee of $80; the fee total is $675. Applicants 75 years of age or older are not charged a biometric fee; their fee total is $595. No fee is required for military applicants filing under Section 328 and 329 of the INA. Send your N-400 application and supporting documents to the Service Center having jurisdiction over your place of residence. 07/30/07. Editions dated 05/31/01 or later are accepted. File this application with the USCIS Local Office with jurisdiction over your place of residence. File with either the Nebraska or Texas Service Center, depending on the State where you live. See the form's instructions for specifics. $460; if filing on behalf of an adopted minor child, $420. Submit this application to the USCIS Field Office with jurisdiction over your place of residence. $460; if you are filing on behalf of an adopted minor child, the fee is $420. Submit this application to any USCIS Field Office. Submit your completed N-644 application to the California Service Center.